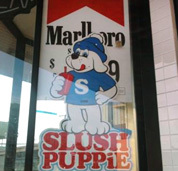 Call Out The Tobacco Companies’ Creepy Sales Tactics. Counter Strike loves going undercover to bust illegal tobacco sellers. 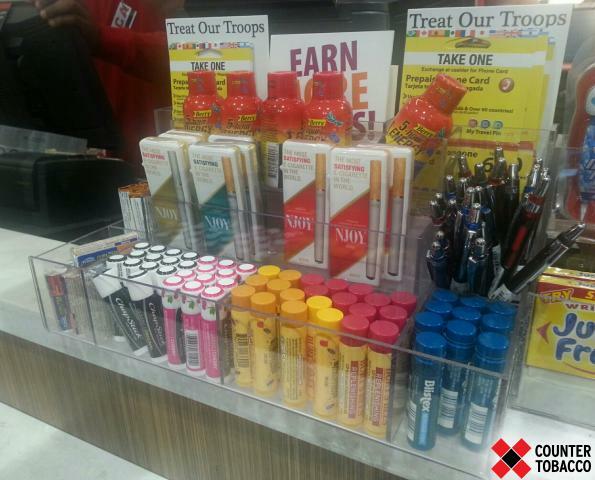 Now you can take on the tobacco manufacturers and marketers themselves. 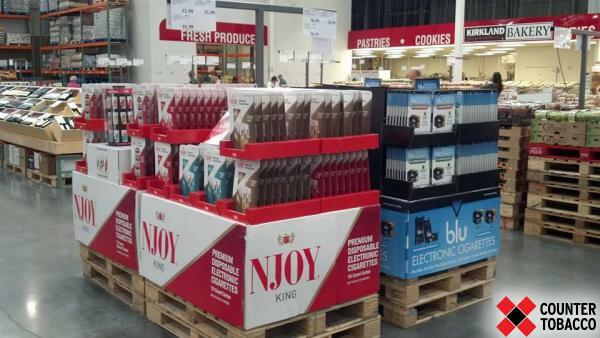 Tobacco industry displays are tricky. Can you spot what's wrong here? Mixes ads for sugary products with ads for deadly ones. 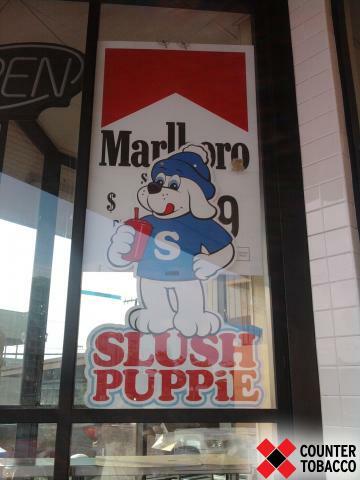 Associates a cute animal and America’s colors with tobacco. It's all good. Dogs gonna dog. Is that candy? It sure looks like candy! The tobacco thing is, like, really close to the non-tobacco thing. Good to see any 5-year-old can grab one. All these tactics are BS, man. "Black and yellow, kill a fellow." Oh wait, that's for snakes. 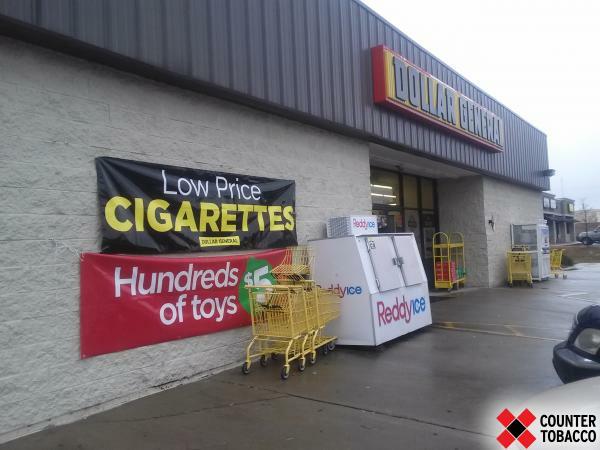 Sign placement suggests cigarettes are toys. Do any smokers really pay a "low" price? Everything is chill here, including the weather. 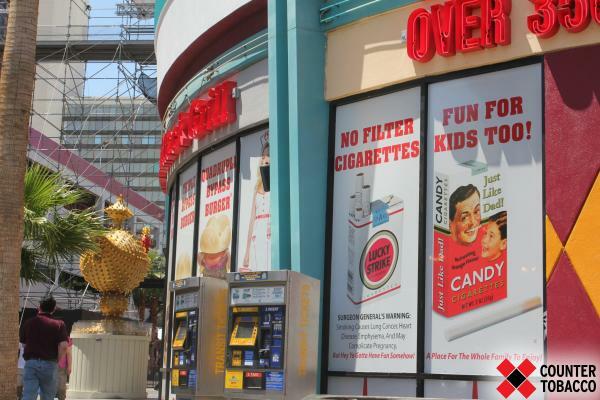 Uses cute candy icon to lure kids toward tobacco display. That candy guy is much smaller IRL. 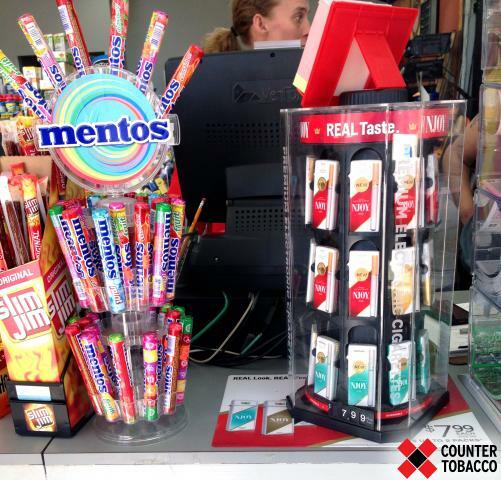 Tobacco products are within easy reach of kids. 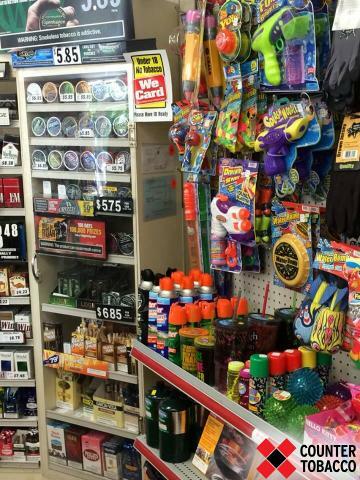 Tobacco right next to toys? That makes sense! If you buy a water gun, you'll get carded. This aisle is a hot mess. Nothing to see here—carry on. Preys on people looking for a pick me up. 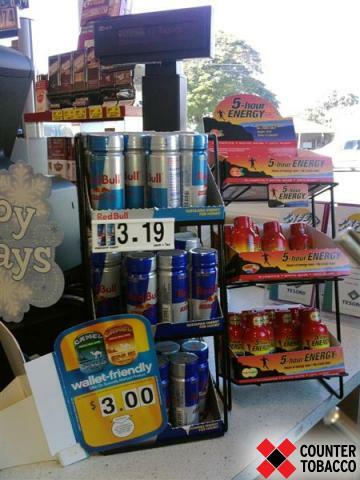 Because the register is the last chance to addict you. It's like you can't put anything on the counter without touching tobacco. All of the above—shame on you, tobacco companies. One of these things is not like the other (hint: it’s the one that delivers nicotine straight to your brain). There's no rhyme or reason to this display. Merchandising 101, people. Really, big box store? Families shop here! Nothing sells addiction like the sweet smell of a bakery. Because a pallet is never enough, amirite? I stand by all of the above…in my best snarky voice. Tells kids that smoking is not only OK, but FUN!!! 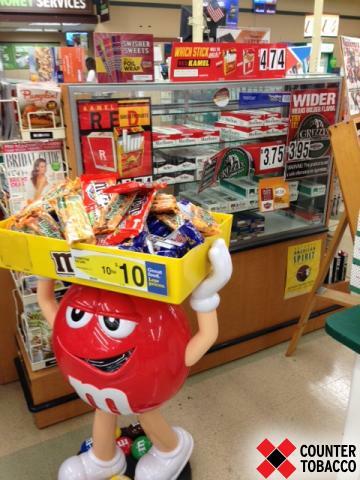 Uses a creepy looking dude to sell candy. Tells kids to be like Dad instead of being themselves. Those ATMs probably charge ginormous fees. 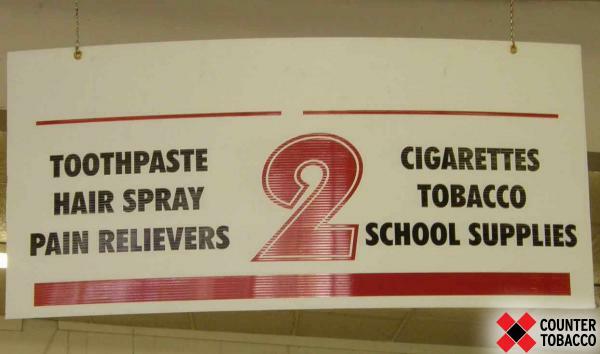 "We don't market tobacco to school kids." Yeah, no. Cigs are school supplies? Try telling that to my teacher. Considering what tobacco does to your teeth and hair, this kinda makes sense. Copyright © 2019 Counter Strike All Rights Reserved.